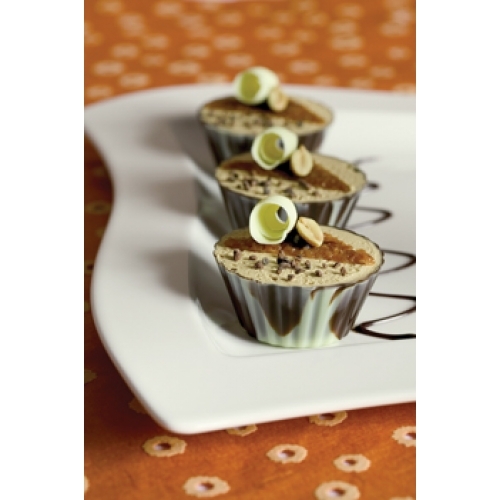 Dobla tempered high quality dark chocolate cups 65mm diameter x 30mm high. Dobla's chocolate cup, Ballerina Cup Marbled is a molded cup using perfectly tempered dark Belgian chocolate accented with a marbling of white Belgian chocolate. 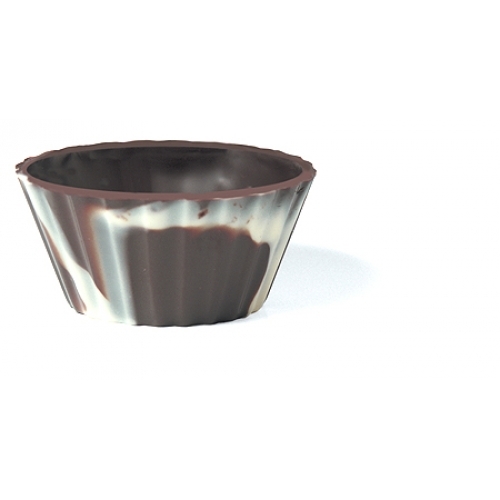 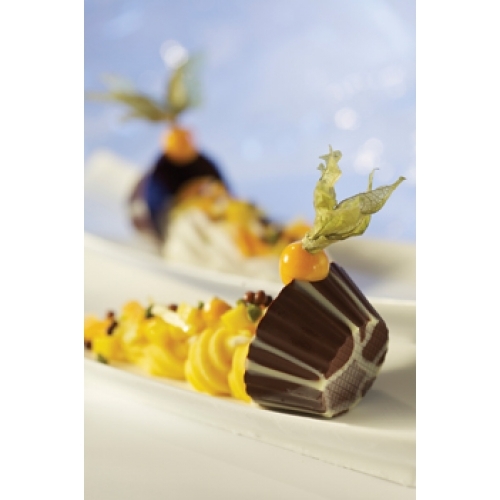 This attractive chocolate cup is a blank canvas ready to be filled with your favorite Ganache, mousse, ice cream or fruit.